Proud To Be Bolt Security. 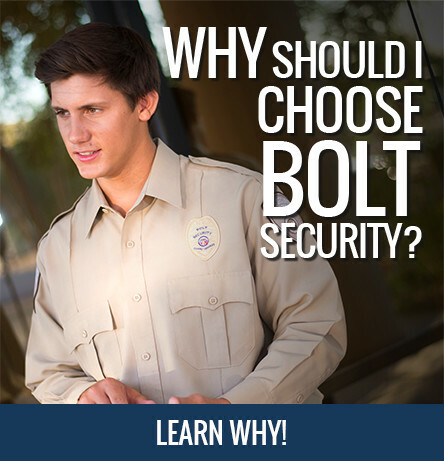 Bolt Security Guard Services is proud to be one of the few security guard companies in Arizona to have a 24/7 full service security control center staffed by our own personnel. Acting as a NOC (Network Operations Center) equipped with data and power redundancies. A Bolt Security Guard Services dispatcher is a life line to a security guard and client at the other end of the telephone or security camera. More often than not security guards are in a secluded area, alone, protecting a property. It is our dispatcher’s responsibility to perform a welfare check on that security guard and be available for any potential emergencies that may arise. If there is a problem or situation our security guards have the added comfort of knowing that someone on duty and available 24/7 to assist them. In partnership with BSN Security our dispatchers act as Virtual Guards providing live video monitoring services to many properties across the nation. Keeping an eye out for trespassing and acts of vandalism our dispatchers are trained to observe and report incidents as they occur.